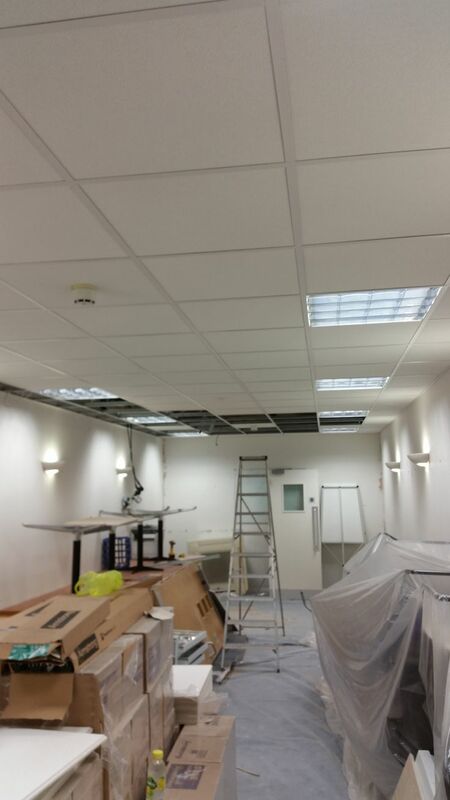 This is half-way through a new suspended ceiling Installation project we carried out for Halifax Plc. 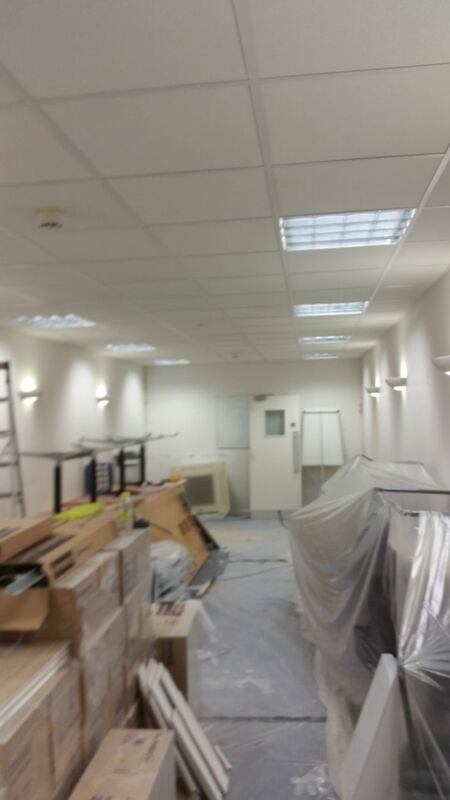 For this project we used an Armstrong 24mm Layin Grid and Supreme Dune Tiles. As an accredited Armstrong Omega Specialist Ceiling Contractor we regularly use Armstrong products for our blue chip clients.